‘tapas’ or even dinning at one of Santa Pola’s best restaurants – Moniatos and Polamar. “No problemo – Gran Alacant is not on the flight path! Although nightlife in Gran Alacant is quite low key, it is by no means lifeless. Numerous bars and restaurants (and more on the way) constantly entertain those who are quite happyto enjoy good food and a great bottle of wine. And for variety you may want to try some ‘tapas’ or even dinning at one of Santa Pola’s best restaurants – Moniatos and Polamar. 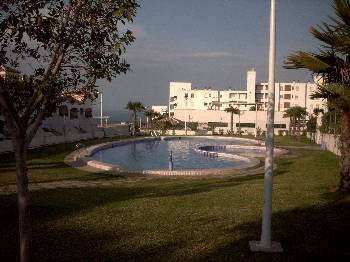 On the other hand, the near by city of Alicante (15 mins) has a bustling night life catering for every taste.Amidst all the facilities and services in the area you will find; supermarkets, banks (with cash dispensers), Video DVD rental, car rental, petrol station and even a local street market. 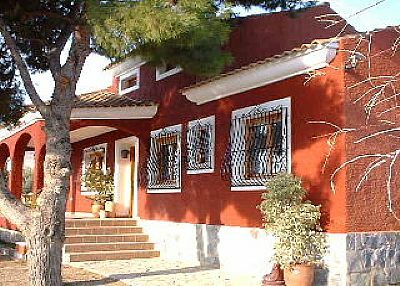 And although we hope you will not need them, you will find doctors surgery, pharmacy and opticians.A stones’ throw from Gran Alacant, less than a mile down the hill, is the above mentioned Los Arenales del Sol beach. The beach is never empty. Even in the ‘our’ winter you find people running or walking by the shore. And although the beach is prepared for the Easter Break it is in the height of summer that all types of water sports become available. 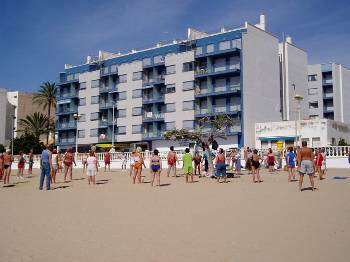 If your priority is a healthy tan, then a few trips to Los Arenales beach is definitely a must!Lastly, although worthy of mention is the fact that the short distance to the airportmakes Gran Alacant a specifically good holiday base. You can be in your holiday rental accommodation in less than 15 mins from landing! And I hear you say Aircraft noise No problemo Gran Alacant is not on the flight path!